Improving health in the developing world by increasing the effectiveness of global health organizations. In an environment of increasing expectations of value for money, we help clients identify opportunities, develop strategies, address challenges and produce creative and actionable solutions. 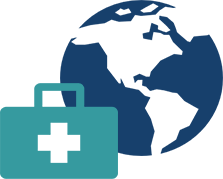 Our mission is to improve the health of people in the developing world by increasing the effectiveness of global health practitioners. Mann Global Health partners with clients to help bring their mission, goals and capacity into alignment. Our associates have highly regarded technical skills that meet our clients’ diverse needs. Our senior associates have extensive experience as trainers, mentors and coaches. Mann Global Health provides a range of services in all aspects of the project management cycle. We have thoughtfully assembled a team of seasoned public health and development professionals, whose expertise covers the entire spectrum of our clients' programming needs. Our staff members are based in North America, Europe, Africa and Asia, and nearly every associate has 15 or more years of international public health experience. Though we come from varying backgrounds and specialties, we share our clients’ passion for bringing smart, measurable interventions to global health and development challenges. Jessica is a thought-leader in private sector marketing, and an experienced team leader. During her 15-year tenure at IBM, she worked exclusively in global partner marketing, collaborating with many of the world's largest and most notable technology firms to launch value-added business solutions in a variety of industries, including healthcare and government. Her responsibilities spanned multiple geographies and lines of business. Her areas of expertise include project management, communications, operations management, marketing strategy, asset development and event planning. Jessica leads operations support at Mann Global Health. An advocacy and policy expert, Jennie ensures that global health programs benefit from supportive, evidence-based public policies, and robust investment. Jennie has an extensive background in public health advocacy and policy, having led these efforts at PSI and at the International AIDS Vaccine Initiative (IAVI), where she was Director of Advocacy and Policy. A legislative specialist by training, Jennie worked in a professional lobbying firm earlier in her career, and as a legislative assistant in the office of U.S. Senator Barbara Boxer. Jennie has contributed to advocacy efforts around both communicable and non-communicable diseases with clients including the Bill and Melinda Gates Foundation. Her skills in strategic planning, communications, and coalition development complement her global health subject matter expertise. Andrea has 20 years of consulting experience in pharmaceutical/biotechnology product development and commercialization. Her expertise spans healthcare payer systems, as well as therapies for both communicable and non-communicable diseases such as diabetes, hypertension, and oncology. A dedicated market researcher and commercialization consultant, Andrea has considerable experience in the private sector. Prior to transitioning to global public health, Andrea led a wide variety of consulting engagements for private sector clients such as AstraZeneca, Gilead Sciences, GlaxoSmithKline, and Novartis. She is adept in conducting qualitative research and working with stakeholders across the spectrum, from product design/development, to funding and investment, through to healthcare delivery. Andrea is deeply committed to market understanding as a means to advance global health outcomes through strategy development and investment. She has extensive experience in research project planning and execution including instrument design, data collection/analysis, and generation of actionable and insightful recommendations. During her 13 years with the bioStrategies Group she established the firm’s payer consultancy and, subsequently, led a team at Xcenda in conducting primary and secondary healthcare stakeholder research. Andrea is a Senior Advisor with the William Davidson Institute at the University of Michigan (WDI), where she partners with donor, consulting and implementing organizations to analyze global health markets and advance private sector solutions. During her tenure with WDI, she has worked with Gavi, the Bill and Melinda Gates Foundation, the Reproductive Health Supplies Coalition and USAID on market dynamics projects and advisory assignments. Katherine Bliss brings her expertise in the social sciences, international relations, and program management to her work supporting clients focused on improving health and development outcomes worldwide. Trained as a historian of Latin America, Katherine spent the early part of her career teaching at the university level and publishing books and articles on gender relations and public health reforms in 20th century Mexico before pursuing post-doctoral work in population and development studies and shifting her professional focus to global health. As a foreign affairs officer at the U.S. Department of State, she led work on environmental health and supported the development of foreign policy approaches to pandemic preparedness. During her time with the CSIS Global Health Policy Center, Katherine oversaw a multi-program project on the influence of the BRICS countries on the global health agenda and directed efforts to better link the WASH and health sectors at the policy level. Her recent projects have examined donor country engagement with Gavi, the Vaccine Alliance, and how lower-middle income countries in Central America and West Africa are experiencing the transition away from Gavi support. Katherine is an accomplished writer, speaker, and facilitator recognized for bridging diverse communities and integrating the complexity of multiple perspectives into her work. Dana Bos brings 25 years of expertise in designing, implementing and evaluating capacity building and leadership/management development programs for the nonprofit and private sectors. An expert facilitator, she also has conducted over 100 workshops, strategy sessions, focus groups, project kickoffs and team development sessions. She has deep experience with organizational, team and individual assessment as well. Dana has worked around the world, in Europe, the Middle East, Africa and SE Asia. She has worked both as an internal resource and as a consultant with domestic and international organizations in small, mid-sized and large enterprise settings. She is known for her ability to connect with others and develop practical solutions and approaches that succeed in complex, fast-moving environments. Chris is a global health professional with more than 30 years of experience in program design, management, strategic planning, marketing and impact evaluation in the reproductive health arena. From 1993 to 2004 he worked with PSI overseeing a diverse portfolio of large-scale programs in Africa, Asia, South America and the Caribbean. Chris has a specialized focus in social marketing, organizational development, behavior change communications and market dynamics. He also served as the Director of Programs at Direct Relief International for three years and spearheaded numerous emergency response projects following the tsunami and Hurricane Katrina. Chris has worked with a diverse range of governments and donors, including DFID, USAID, KFW, BMGF, The David and Lucille Packard Foundation, PAHO, UNFPA as well as various social investors/corporate social responsibility projects. Chris currently works as an independent consultant from his home in California, spending approximately half of his time as a technical advisor with Palladium’s Health Markets and Behavior Change practice unit. Chris speaks Spanish and French. Alamelu is an organizational development and human resources professional with over 17 years experience in partnering with organizational leaders to address their talent needs. Over the last decade Alamelu has held key roles in HR and talent development and successfully developed organizational capacity both at headquarters and the country offices of PSI and FINCA. Prior to her roles in international development, Alamelu worked as a strategic HR consultant in the private sector. She is the co-founder of RISE, a global HR and Talent Development consulting firm that strengthens HR departments and develops organization talent. Alamelu has travelled considerably across Africa and Asia for work. She holds an MBA in Human Resources & Information systems and is a certified facilitator in the Myers-Briggs Type Indicator personality instrument.